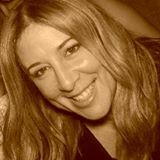 My friends often refer to me as the “Super Nanny for Women,” a nod to Jo Frost, the Mary Poppins–like British parenting expert and TV personality known for her tough-love, no-nonsense approach to raising and disciplining children. I’d casually helped a number of close friends over the years with relationship problems. They told their friends who then told their friends, and so on, and so on. It began to take on a life of its own, and I soon found myself dispensing uncomplicated, straightforward relationship advice to all sorts of women in need. What makes my perspective different and unique is that I’m not your typical relationship expert; I don’t have a degree in psychology or psychiatry. I’ve never taken a course in human behavior. I’m not a relationship or marriage counselor in the traditional sense. I’ve never been in therapy, and (ironically) I’ve never been married nor am I currently in a relationship. So what makes me qualified to give you advice? Simple. My proven track record. I discovered the formula that has helped countless women find long-lasting, healthy, and happy relationships and rid themselves once and for all of toxic ones. I’m going to share the formula with you in this book, so that no matter what your situation is or how unhealthy your relationship may be, you will have the tools to take control of your love life and create the kind of relationship you’ve always dreamed of. As with any formula, if you just plug in the right data, you will get the correct result time and time again. If I still seem an unlikely relationship expert, consider Super Nanny again for a moment. She’s an internationally renowned, well-respected child expert, yet she has no children. How can this be? Super Nanny discovered the formula for raising beautifully behaved children. Once she figured it out she applied those same tools with different children in various situations and they worked brilliantly each and every time. As an English Literature major in college, I was required to write many papers on famous literary figures. I would get an A+ on almost all of these papers. Not because I was the most creative or most talented writer in the class, but because I discovered the formula to successful writing: by applying the specific structure I was being taught, I was guaranteed a good grade. First, you introduced your thesis stating a point you needed to prove. Second, you used many examples to prove that point. Third, you referred back to your thesis and all the examples you’d used, and tied it all together in a nice neat bow. At the time it never occurred to me it would have any real world application. Years later, I tried my hand at writing a movie screenplay. I understood the basics. Every story has a beginning, middle, and end. But I was totally clueless and really had no idea that there is a very specific structure and formula for how a great screenplay is written and laid out. I was lucky enough to have a film executive point this out to me after reading my first draft. She recommended a brilliant book that spelled it all out. Once I knew the formula and applied it, I could look at any screenplay and immediately fix it. The formula was one thing—but the secret was to apply it. For a time I turned it into a career of sorts; I would read other people’s screenplays and using the tried and true formula, help them to make a structurally dysfunctional script, great. It wasn’t long before I applied those same principles to relationships and I discovered what would become the Girlfriend 911 formula. Based on my past experiences with formulas, I knew it would work in any and every situation. It didn’t matter how different or varied the circumstances were, the outcome was always the same. And as the expert, I didn’t have to be married. I didn’t even have to be in a relationship. As long as I had the formula, I could give it to anyone seeking relationship advice because I knew beyond a shadow of a doubt it would work, with one caveat—they would have to apply it. Life Lesson #2 came from, of all places, a movie. When I was in my mid-twenties, I saw the movie Emma, based on the novel by Jane Austen. As an English Literature major I thought I was pretty well-versed in all things Austen. But when I saw Emma all those years later, I was particularly struck—as if for the first time—by the notion of real romance and that delicate courtship dance between men and women so perfectly captured in Austen’s stories. I came out of that movie completely taken with the idea of getting back to that bygone romantic era: men were to court women, women were to allow themselves to be wooed and pursued, and dignity and respect were once again to be the cornerstones upon which healthy relationships were built. It was, as they say, a “lightbulb moment,” all I had to do was update it for the 21st Century! Unfortunately, there was one more lesson I needed to learn—a big one—before I could put my mother’s wisdom and Emma’s guidance into practice. This particular lesson, Life Lesson #3, my story of Mr. F is essentially the original case study for my Girlfriend 911 program. Mr. F was my nickname for him and is the name I will use for the purposes of this book. We met through a mutual friend. He actually called me for professional advice as we were both working in the movie industry at the time. He was looking for a job and I often heard of available positions. What should have been a ten-minute phone conversation turned into a three-hour-long marathon. Instinctively, I knew something was special here. Unfortunately for me, he had just come out of a seven-year relationship and wanted to be free. I, on the other hand, was in my late twenties and ready to start thinking about settling down. The chemistry was undeniable. He just “got me” like no one else ever had, and that was intoxicating and hard to let go of, even though we clearly were not on the same page. He couldn’t, or wouldn’t, fully commit, and so I accepted a “friends with benefits” situation, hoping against hope that he would see the light and finally step up. He was like a drug I just couldn’t quit. After a tumultuous five-year, on-again-off-again “situation” between us, he met a woman whom he would later marry. I was completely and absolutely devastated. When he told me he had started dating someone and thought it could be serious, I was finally jerked back into reality and all those lessons learned from my mother came into play. Of course, I should have been using them from the first day I met him, but I was so “in love” that I let my high standards slip and couldn’t see the forest for the trees. He was very reluctant to let me go. He still wanted to be “friends,” but we both knew what that meant. At this point, I finally realized it was time to get him out of my life for good. I had tried many times in the past, but had been weak and had always gone back on my threats. I knew that unless I did something drastic, history would repeat itself. We had an amazing connection, incredible chemistry, and we enjoyed each other’s company a lot. So even if I tried to get him out of my life, I knew it wouldn’t be long before he’d be reaching out, wanting to do the “friends” thing while still dating this new girl. For five years, that exact reality had played out. For my own sanity, I just couldn’t allow this to go on any longer. This particular life lesson was the genesis for my formula, and it’s what really started the whole Girlfriend 911 program. I began to recognize for the first time the nature of men and what made them tick. I discovered quite accidentally that his behavior was, in fact, wholly dependent upon mine. So here’s what I did. This is really important, so pay attention! In hopes of scaring the living daylights out of him, and ensuring that I never heard from him again, I came up with a foolproof plan. As they say, desperate times call for desperate measures. I sent him an email that expressed for the very first time, in a clear and concise manner, exactly how I felt about him. I told him that I wanted to marry him and if he didn’t feel the same way, he absolutely couldn’t be in my life in any form or fashion. I was certain that this kind of honesty was a sure-fire guarantee that he wouldn’t be contacting me ever again—the nail in the coffin, so to speak. I was utterly exhausted and emotionally bankrupt. I had to get my life and my self-respect back before he completely destroyed me. My plan worked perfectly. I had laid all my cards on the table. He told me he was sad and wished we could still “just be friends.” I am sure if I’d chosen that option, “just friends” would’ve have ended up as “just lovers.” No matter how badly I had behaved in the past where Mr. F was concerned, being his mistress and being second best was never going to be an option. Although he cared about me deeply and understood where I was coming from, he wasn’t on the same page. We both walked away and out of each other’s lives. For me, it was incredibly painful and devastating. Putting the sexual stuff aside, he was one of my closest friends. Losing him was like losing a piece of my heart. I grieved appropriately and then tried to get on with my life. It was a long and difficult process, but what I started to notice was that for the first time in a long time, I was back in the driver’s seat. I felt totally empowered and in control. It was like this huge burden had been lifted off my shoulders. Emotionally, I had been completely stripped down and had gotten to my absolute truth. It wasn’t just out there in some nebulous etheric realm; I had written it down, given it form. He couldn’t say he’d misunderstood me; there it was in black and white in that email. The fact that he didn’t reciprocate the feelings almost didn’t matter. I felt really good about myself for the first time in a long time. Baring my soul in that way was completely liberating, and it gave me the strength and determination to stick to my plan to sever all ties to him, when...after a few months, to my complete surprise, he reached out! My honesty and my actions had apparently had the complete opposite effect on him! Go figure! He said he missed me and wanted me back in his life as “friends.” But this time it was different. I was different. I held firm to my new standards and boundaries and said, “Absolutely not. It’s all or nothing. You either commit to being in my life one hundred percent or you can’t be in it at all.” This was not meant as an ultimatum at all; it was a simple statement of truth about the choice I was making, and it left him to decide what he wanted to do about it. My absence had left him in such a tailspin that he suddenly couldn’t get enough of me and continuously reached out in the hopes I would change my mind. But I didn’t. Never in a million years would I ever have anticipated this kind of reaction from him. He did the exact opposite of what I expected him to do. I thought I’d discovered the Holy Grail! Although he did disappear for a while—a few months, as I said—after he’d had time to process the situation, he realized he missed me terribly. The more I held firm to my boundaries, the more it challenged him, and the more he wanted me. For reasons I am not going to go into, he could not marry me, (he’s explained it to me, and although I don’t agree, I respect his choice) but his feelings for me haven’t changed to this day. In fact, they’ve gotten stronger. I know this because he’s continued to get in touch with me over the years and let me know in no uncertain terms how he feels about me and the kind of impact I’ve had on his life. He never once told me any of this when we were actually together. I realized that when I wasn’t true to myself, he wasn’t true to me. Truth is the key. When I bared my soul, he bared his as well, even though it took time. What an important lesson. Thank you, Mr. F, for all that you’ve taught me. Since getting Mr. F out of my life, many other women have followed in my footsteps. They have experienced similar results by taking their power back just as I did. That’s the whole idea behind the Girlfriend 911 program. Soon, one girlfriend told another about my program and before I knew it, I was counseling clients (for lack of a better term) and seeing amazing results. My goal all along has been very simple: help single women find a healthy, loving, committed, monogamous, and honest relationship, and help women currently in relationships maintain healthy ones or free themselves from toxic ones. My approach has been equally simple: teach women that healthy and mutually satisfying relationships are built on respect, firm standards and boundaries, and belief in one’s True Self. These basics make up the core of my Girlfriend 911 program. Those of you who adhere to my program will inevitably succeed and walk away with your self-respect, confidence, and dignity intact. For those of you who are lacking these important qualities, I’ll show you how to get them. You will always be in your power, you will know how to set appropriate standards and boundaries, and you will never allow yourself to be taken for granted again. Women tend to make crucial mistakes in the dating arena, simply because they haven’t been taught what to do. Time and time again, we wind up settling for something I like to refer to as “crumbs.” We will delve into this a little later, but know that being in your truth and not settling for crumbs are two very important factors throughout this process. No more crumbs, ladies! You deserve the whole crumpet. In order to do that, you’re going to be required to change your old habits and thought patterns immediately. You must follow the rules carefully and surrender to the process! There will be no compromise! There is only one way. We live in a world of instant gratification, but relationships are not instant. We’re talking about your life partner here. You need to stay focused on the big picture. If you’re looking for a long-term relationship, you can’t think in terms of immediate results. Just like in the movies, you will eventually get the guy. Not just any guy, but a man you are truly connected to, and a man who is worthy of you. This may or may not be the man you are with now. The answer to that will reveal itself during the course of the program. If you are currently dating someone, you will either end up in a healthy relationship with this person, or you will get him out of your life completely—for good—if he’s not right for you. By following the steps of my program, you will know where you stand, and how your man truly feels about you. It is not an easy process, but it’s a rewarding one, once you get to the other side. If you’re not dating anyone at the moment, then your timing is impeccable. You will save yourself from making, and/or repeating, many common and potentially catastrophic mistakes, so long as you stick to my rules and do not “go rogue” on me. By the end of my program, you will understand your worth and know beyond a shadow of a doubt what you deserve in life, and what you deserve in a relationship. And by doing so, you are opening the path to greater things in all areas of your life. If you choose not to follow my program, you must be satisfied knowing that you will just continue to get more of what you’ve always gotten, or perhaps even worse. Obviously, what you’ve been doing up until this point isn’t working, or you wouldn’t be considering my program. Have the courage to face the truth in your relationship, and do something about it. It’s been said that Albert Einstein defined insanity as doing the same thing over and over again and expecting different results. Unless you change your behavior, you will never be able to change the result—that’s a guarantee! Since you’re already reading this book, you’ve probably figured out that part. Now, all you need are the tools to bring about these incredible changes, so read on. In case you’re wondering how I came up with the Girlfriend 911 title—I didn’t! One of my girlfriends named me that after she had literally called me for emergency love help at all hours of the day and night. Since then, however, I’ve come to recognize how truly apt the name was because the greatest friend any of us can have is that little voice inside us, our gut instinct, our True Self, our very own individual Girlfriend 911. She’s on duty 24/7 to help and guide us, and so long as we listen, she will never let us down. 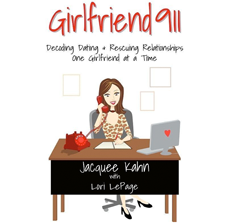 By reading Girlfriend 911, you’ve taken the first major step in changing your life for the better. You should be very proud of yourself and feel energized and excited. Soon you will have a whole new way of being in the world that is going to bring the most incredible and surprisingly positive changes in other aspects of your life as well. Having standards and boundaries and knowing you deserve only the best from those around you can be applied in all areas of your life; work situations, relationships with friends and family, and how you raise your children. To help you stay on track, keep referring back to the book, as I will be there guiding you step-by-step. It’s always hard to change your behavior when you’ve been doing it one way (the wrong way) for so long, but it’s definitely not impossible. Practice will make perfect. My friends and clients have been kind enough to give me permission to share their stories with you. All names contained in this book have been changed. I hope when reading these stories you realize you’re not alone. Chances are, someone else has made the same mistakes you have. By sharing their stories we hope we can help other women, and that together we can change what’s going on with women, dating, and relationships—one girlfriend at a time!